In the early months of 2011 my job in Financial Services came to a sudden, abrupt and painful end. The full impact of the credit crunch hit many small, medium and large companies across the UK. And the Insurance company I worked for was no different. I had signed on the dotted line for a new house only a few days previously. But now I was told that the job I had invested so much time, energy and skills in no longer existed. The company was closing with many losing their jobs. I was devastated. 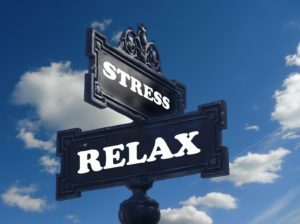 We are now facing a mental health crisis in Scotland and the UK on an unprecedented scale and many are turning to mindfulness meditation as one way to better manage stress, depression and anxiety. There is a longing from many to experience a greater sense of calm and escape from our frantic overloaded minds. Facing my own job loss and huge financial challenges I found myself in a very low place. I applied for literally hundreds of jobs, many well below the level of qualification, skills and experience I had. But nothing seemed to work and the weeks and months rolled by. Without any clear sense of guidance from God I began to sink into a deep and dark depression. One of the greatest myths put forward by some is that Christians should not suffer from depression at all. My experience taught me that this is a cruel lie which needs to be exposed. Surely, I thought, there must be a kinder, more compassionate and Christlike approach which can be of benefit to Christians who struggle with mental health challenges. For me a number of different approaches helped – prayer, Scripture, medication, counselling, CBT, friends and family, church and…. mindfulness. In 2013 I was introduced to the concept of mindfulness while doing some marketing consultancy work for a Professor in Psychiatry. It immediately struck a chord with me because of my background in many different Christian forms of meditation and contemplation. The more I practiced mindfulness, the more I wanted to put relationship with God at the heart of the practice, without compromising on the mental health benefits of greater self-awareness. Over the years I have spent hundreds of hours in silent prayer seeking God and meditating on Scripture. It seemed obvious to me that secular mindfulness meditation (although helpful for many) had something missing. 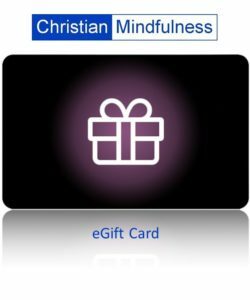 It was out of this conviction that I wrote the Christian Mindfulness Online Course materials (with the encouragement of Dr Rob Waller, Consultant Psychiatrist and Director of the Mind & Soul Foundation). Since the online course was launched it has been used all over the world by Christians. Many want to deepen their faith through meditative and contemplative practices. Many struggle with mental health issues and have found the materials of great personal benefit. Others complete the course for CPD purposes. In 2016 the Accredited Certificate in Christian Mindfulness was launched in partnership with the Institute of Counselling with a growing number of students enrolled on the study programme. In 2017/18 I worked in partnership with Rev Shaun Lambert and several Christian organisations to launch the first National Mindfulness Day Conferences for Christians in London and Leeds. The next National Mindfulness Day for Christian in Scotland is scheduled for Saturday 23rd March 2019 in Edinburgh. More information can be found here. Keynote speakers will include Dr Rob Waller, Rev Shaun Lambert, Heather Churchill (from CWR), Rev Scott Brennan and Rev Kenny Borthwick. The East Midlands Christian Mindfulness Day is taking place on Saturday 2nd February 2019 with a mixture of keynote addresses and seminars. More information can be found here. These two events are being organised in partnership with the Mind & Soul Foundation, CWR, Meadows Community Church and the Forward Foundation. It is my conviction that we can draw out of the deep wells of the Christian faith and tradition in a way that enables many to experience improved mental health and a greater sense of well-being and spiritual connection with God. Of course, Buddhism does have a strong contemplative tradition itself and sometimes mindfulness meditation is wrongly associated with only Buddhism. All of the main religions of the world have a contemplative stream which incorporate paying attention, on purpose, with a particular intention in mind. That’s why we can speak of such a thing as Christian Mindfulness. Ticket information for the National Mindfulness Day for Christians Conference in Edinburgh can be found here. Ticket information for the East Midlands Christian Mindfulness Day can be found here.